What are Some Fun Things to do in Saigon? Looking for fun things to do in Saigon? 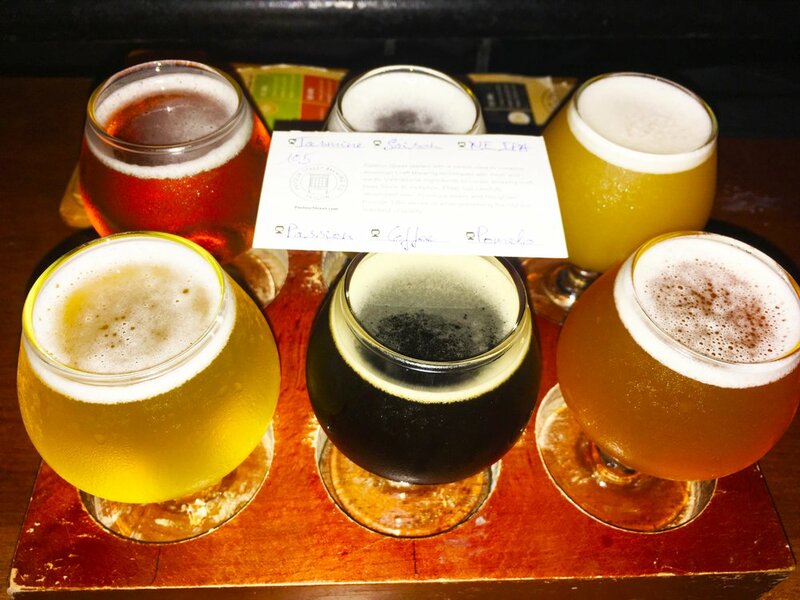 How about checking out the craft beer scene! The first day in arriving to Saigon it brought nostalgia after 4 years visiting prior. This would be a different trip since my last there were many changes. First, I wasn’t on a long backpacking trip and second on this trip I was more focused on the craft beer and food scene of Saigon since I heard there has been a rapid change in both scenes. This is what this post will focus on. My first accommodation was at Christina which I recommend since it is close to the tourist area and within relative distance to shops and restaurants. It is in District 1. I found the accommodation on Airbnb and it is their Le Lai Location. There has been a sudden boom within the craft beer market in Saigon. As one of my local friends mentioned there have been about four new breweries which opened within the last year. I wanted my first stop to be at one of the more famous craft beer venues in the city. The name that I kept hearing about was Pasteur Street Brewing which was started up by Alex an American brewer from Boulder, Colorado. I ordered their sampler which was 250,000 dong and got to sample 6 different beers: Jasmine, Saison, NE IPA, Passion, Coffee and Pomelo. Of the samplers, my favorite was the Saison which had a delicious lemongrass aroma and NE IPA. The Saisons in Vietnam were actually some of my favorite! Could this be because they are sourcing fresh ingredients there to use in their beers? Pasteur Brewing had a large seating area and was comfortable. My only disappointment was that the social atmosphere seemed to be missing from the venue. Could this be due to the seating in the bar? Afterwards, I wanted to find out about another local craft beer venue. This venue was recommended for their wide selection of Vietnamese craft beers. Bia Craft was my second stop. Here, I got a chance to try out other breweries. 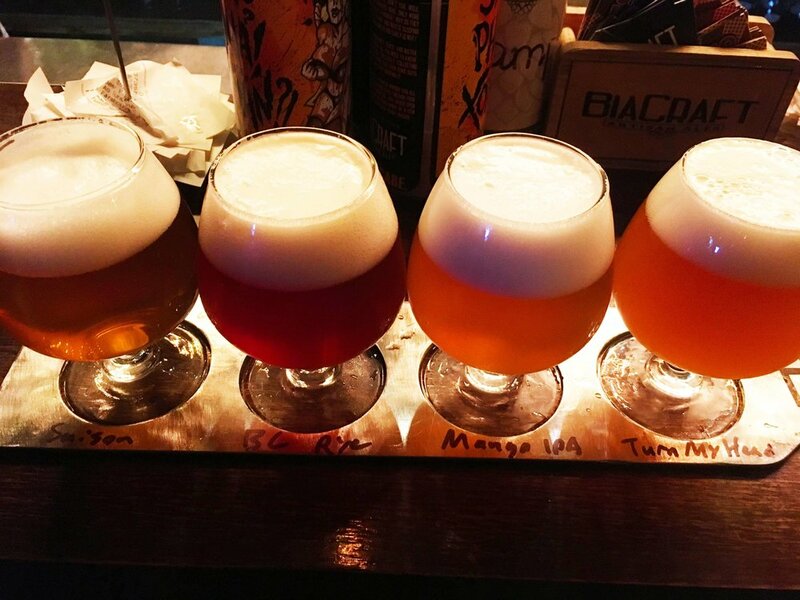 I tried another sampler here: Saison, BC Rye, Mango IPA and Turn My Head. My favorites from this batch were the Mango IPA and Heart of Darkness Turn My Head. The IBV on Turn My Head was quite high but still well balanced enough to drink without being too bitter. The beer menu was quite extensive for Bia Craft and they also have another location in Saigon. My next post will continue to focus on the craft beer and food scene within Saigon.